It’s only the first week back for our Spiders and we’re already receiving high praise ahead of the academic year. What better way to welcome our Spider family back home than with the latest ranking from Forbes. 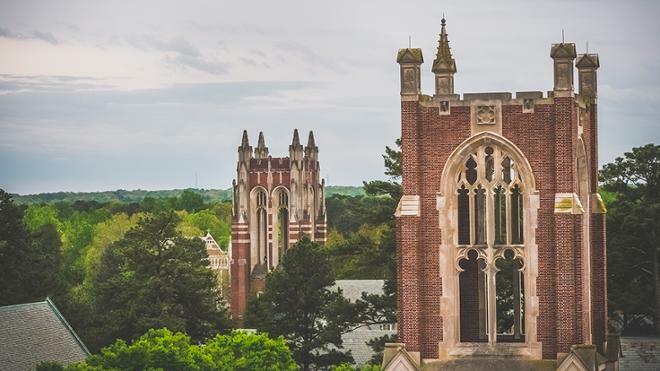 Even though we can’t say we’re surprised, we’re proud to be included in the list of the top colleges in the South. At No. 14, we’re among the company of other prestigious institutions with longstanding track records of excellence, such as Rice, Vanderbilt and Emory. Our strong reputation of nationally recognized programs, exemplary leadership and robust research opportunities no doubt contributed to this ranking. And we’re sure our inspiring setting didn’t hurt, either. With the arrival of our record-setting Class of 2022, we can’t wait to see what our Spiders accomplish this year!